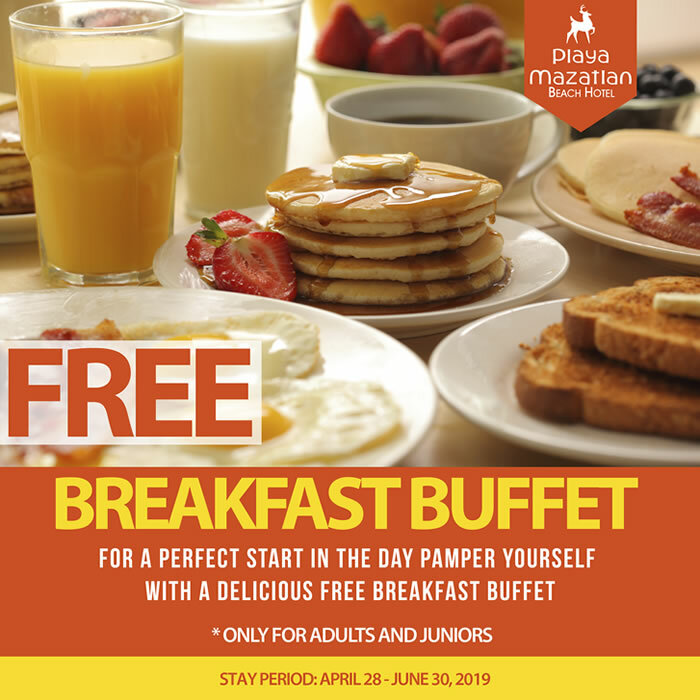 Pamper yourself with a Free Breakfast Buffet (adults & juniors only). * Available from April 28 – June 30, 2019. 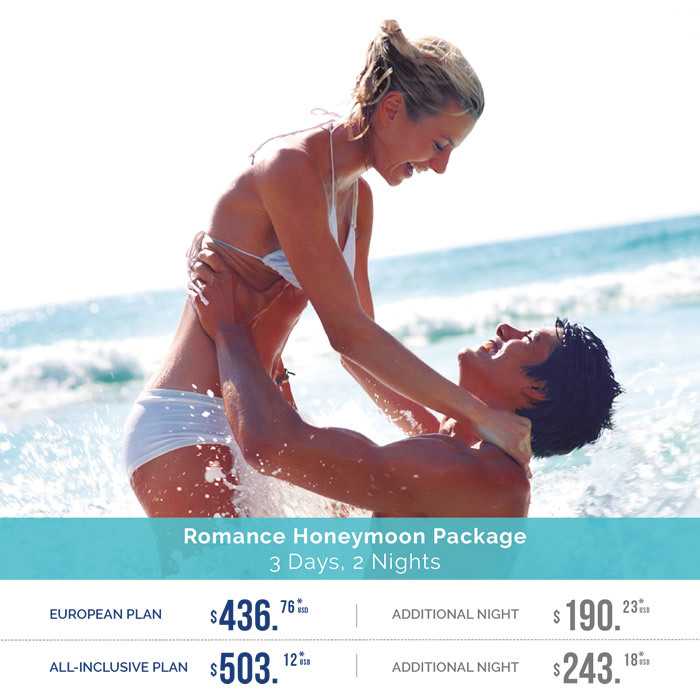 Let us make your honeymoon unique and special! Because every moment together deserves to be celebrated. 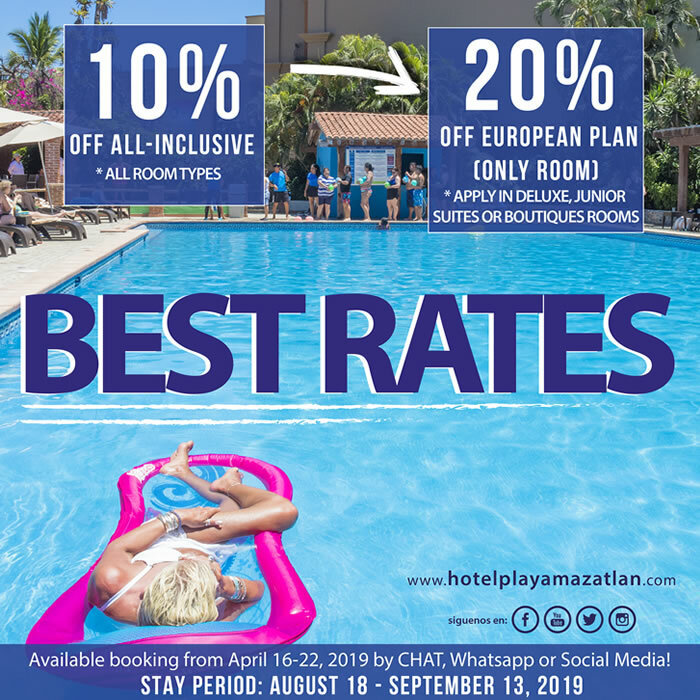 * Prices per couple / includes tax and tip / Available until January 6 – December 20, 2019 / Doesn’t apply on Carnival, Holidays, Holy Week, Easter Week (April 13-27) and Summer (July 1 – August 17) / The price subject to change without prior notice. ** When you confirm your booking you must pay the applicable deposit of 50% (non-refundable deposit). 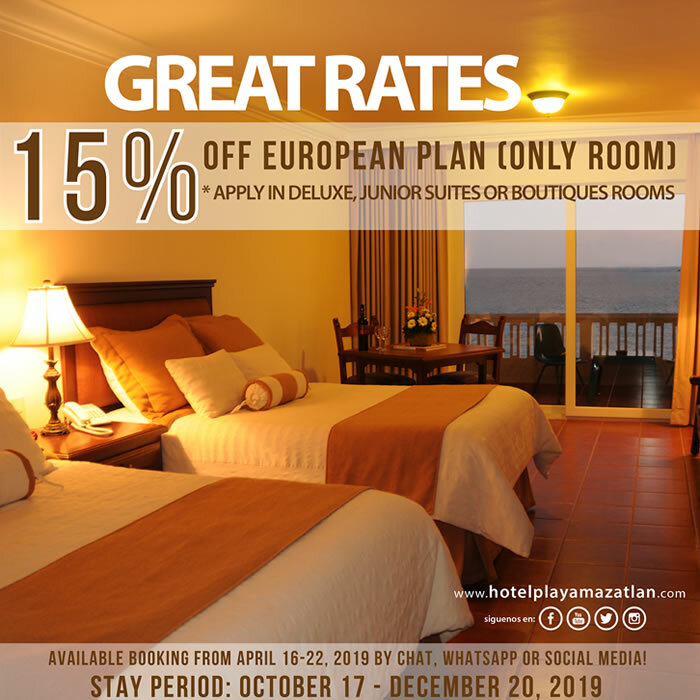 All promotions are available booking from April 16-22, 2019 by CHAT, WHATSAPP or SOCIAL MEDIA! 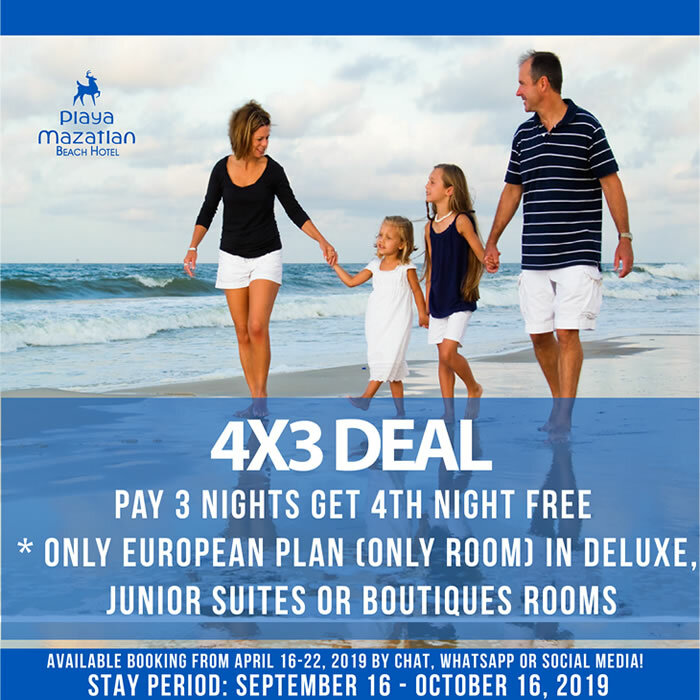 ** 4x3: pay 3 nights and get the 4th night free (only European Plan, special categories). 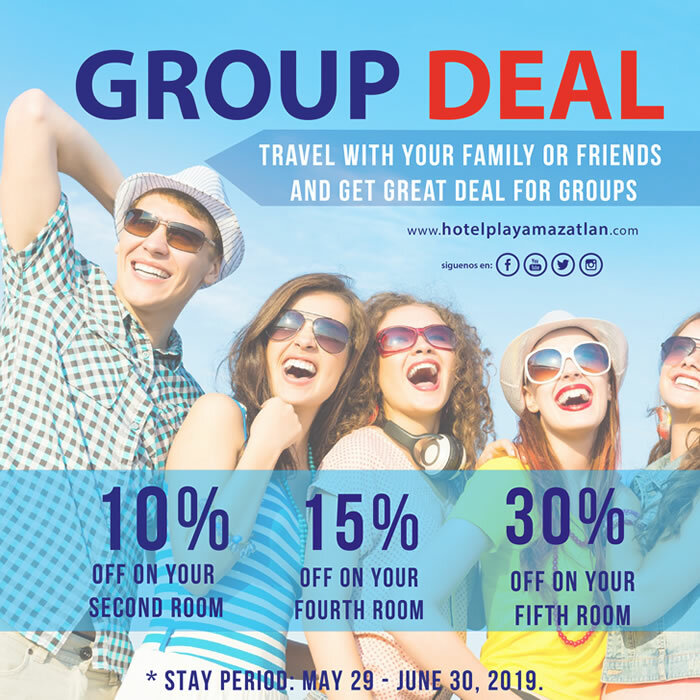 *** Group Deal, Best Rates & Great Rates: the discount applies to the cost of the room (not food). Apply in European or All-Inclusive Plan. **** Free Breakfast Buffet (adults & juniors only. 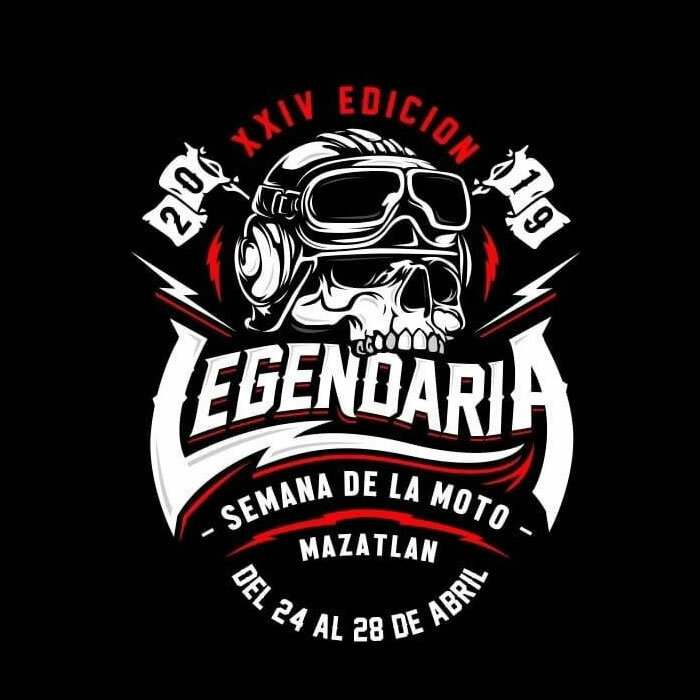 Available from April 28 – June 30, 2019). ***** Special Categories are Deluxe Room, Junior Suite & Boutiques. 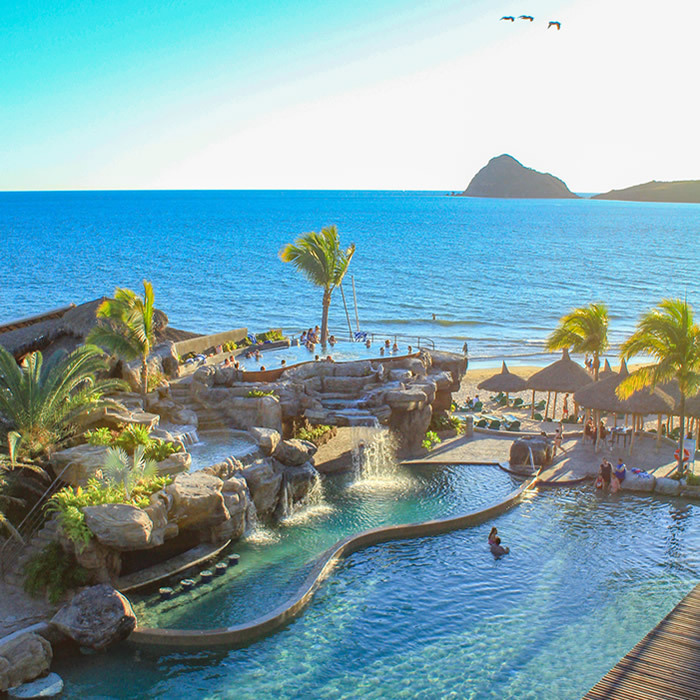 To all our guests we inform you that all reservations on All Inclusive Plan from 24 to the 31 of December 2018 must pay a supplement. 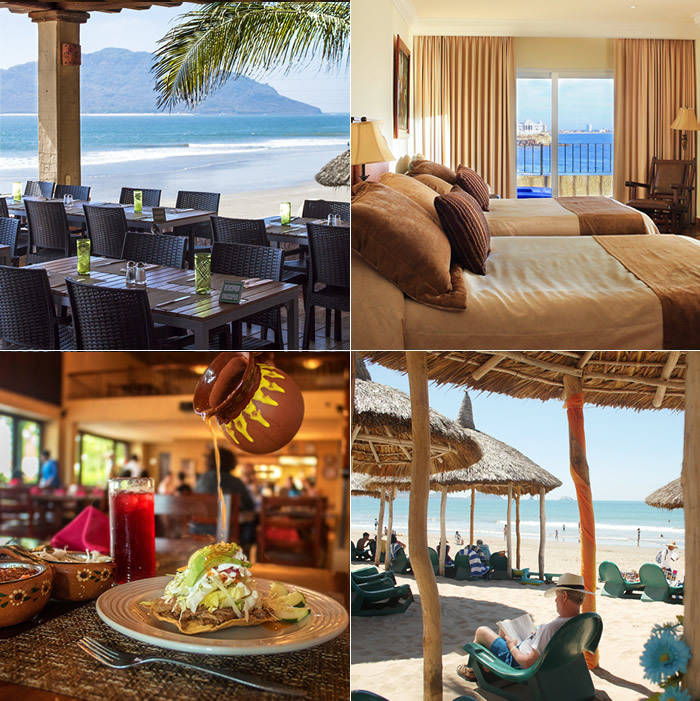 Our 24 hr All-Inclusive Plan will allow you to enjoy the opportunity of being a guest here at the Playa Mazatlan, and we hope that this will allow you to create unforgettable memories. Private balcony rooms with flat screen satellite TV, 52 english and spanish channels, air conditioning, alarm clock, coffee maker, filtered and destilled water system and pressurized showers. All Inclusive Plan becomes active at 13:00 Hrs on arrival date and ends at 12:00 Hrs on departure date. Self-serve, with a beautiful Ocean View. Regional Mexican food from Sinaloa. Gourmet Italian Cuisine. * Reservation required. Seafood based cocktails and ceviches. 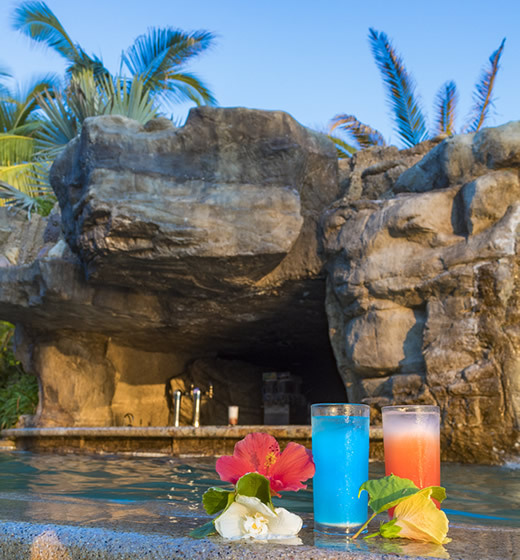 A variety of snacks and drinks, such as hamburgers, hot dogs, pizza, soda and tropical cocktails by the main pool. 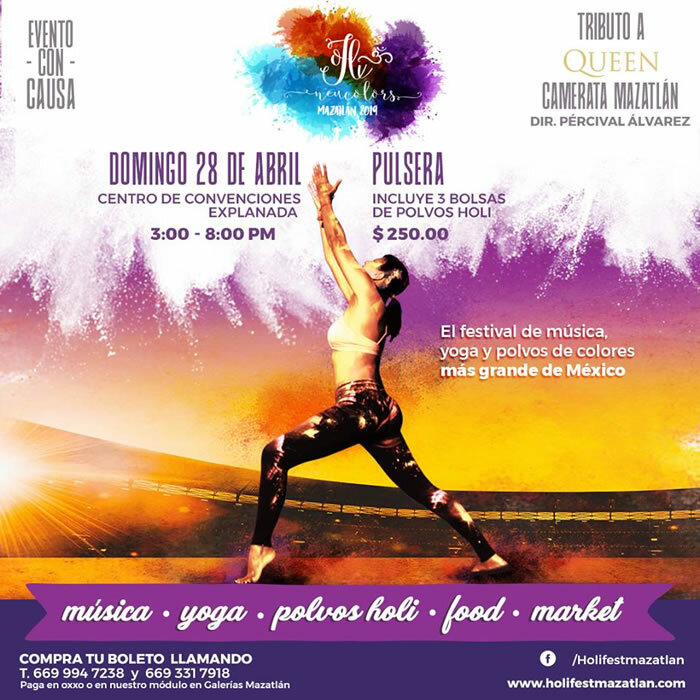 Live music and recreational area with pingpong, pool and little football tables. The best in sports entertainment. Enjoy our theme show night with dinner buffet and open bar. * Reservation required. Programed activities for children and teenagers throughout the day. Activities for children from 4 to 12 years. * Swim-up Bar closed season until new notice. * Based upon availability and weather conditions. Food and beverages not included. Reservation required. * Priced based on double occupancy in a Garden View Room. Prices will change depending on season and different accommodations. The price subject to change without prior notice. Experience the City Trolley Tour! 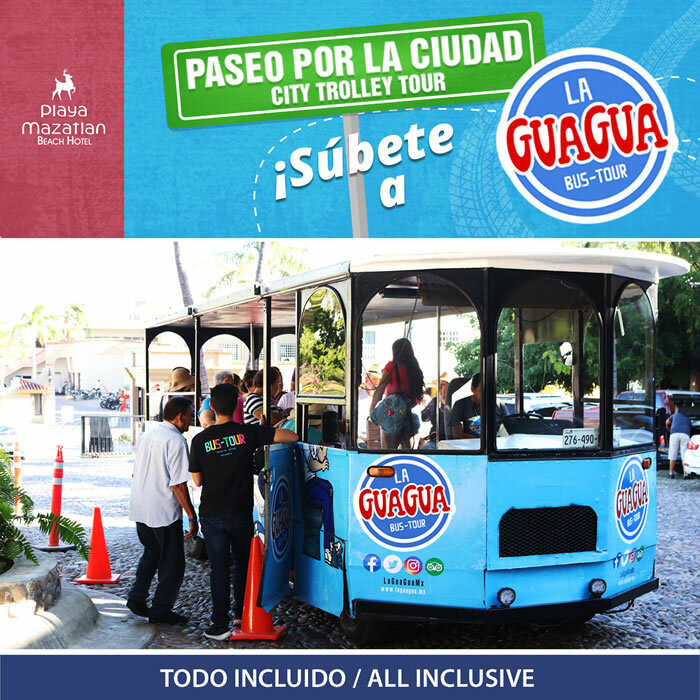 Enjoy and know the culture, taste and tradition of Mazatlan on board of an open-air trolley with a panoramic view in movement! 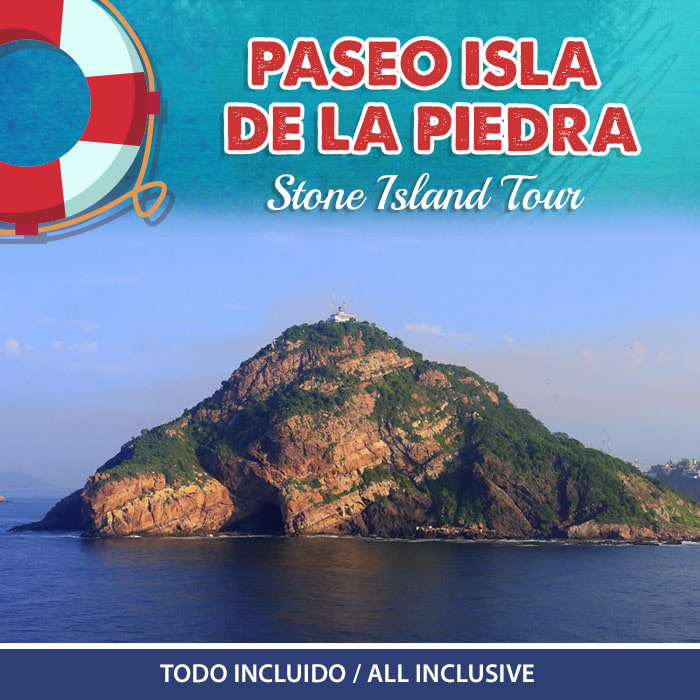 Mazatlan’s most popular daytime destination, Stone Island makes a great excursion for all Family! Will you be staying with us? 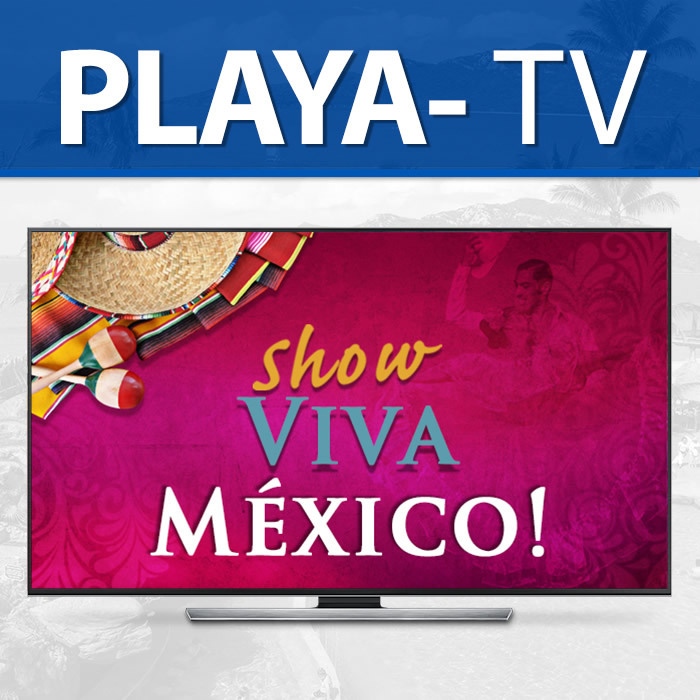 Visit Playa TV and know our weekly schedule to plan your fun in a big way! 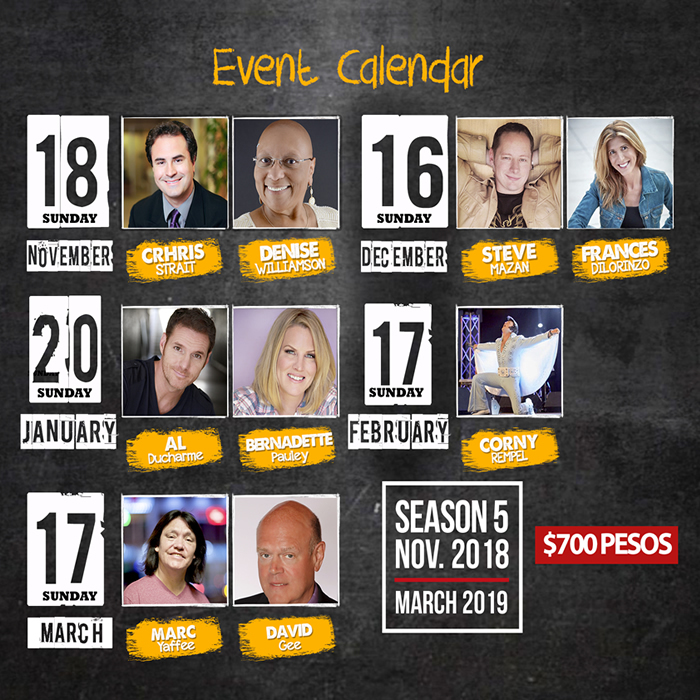 Mazatlan Comedy Club Season 5! 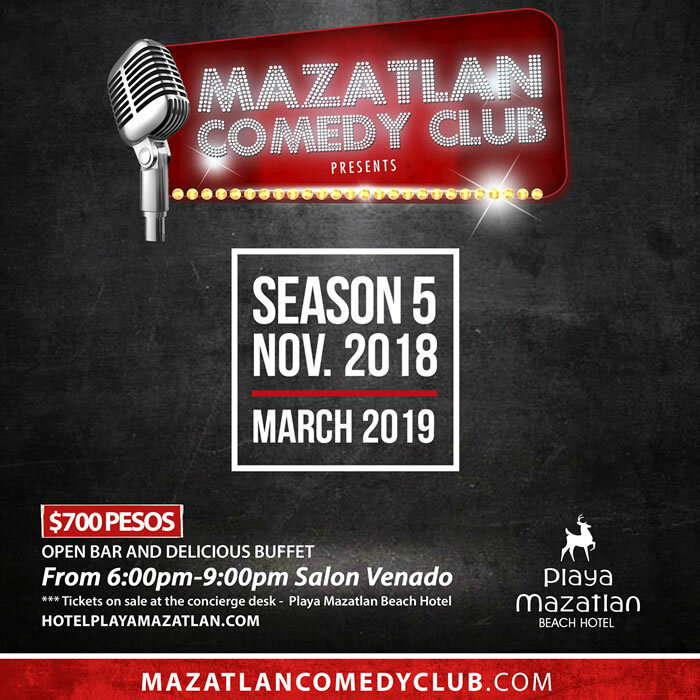 Once a month, from November to March, Playa Mazatlan Beach Hotel and Gaudet Productions presents a hilarious night of Clean Stand-Up Comedy in the state of the art, Salon Venado. 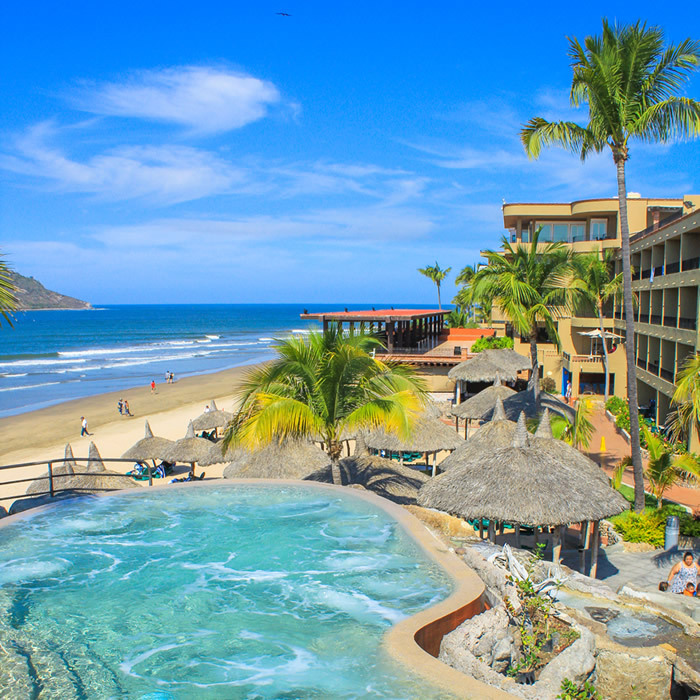 We feature some of the best English speaking comics in the business and there’s no other show like it in MAZATLAN! 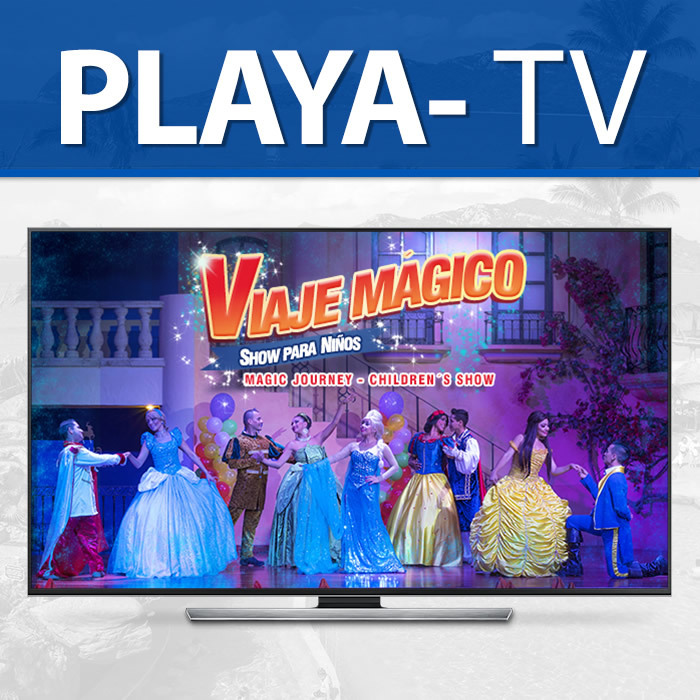 We’re very proud to bring you first-class entertainment and service and like our slogan says, “We’ll Make You Laugh!”. 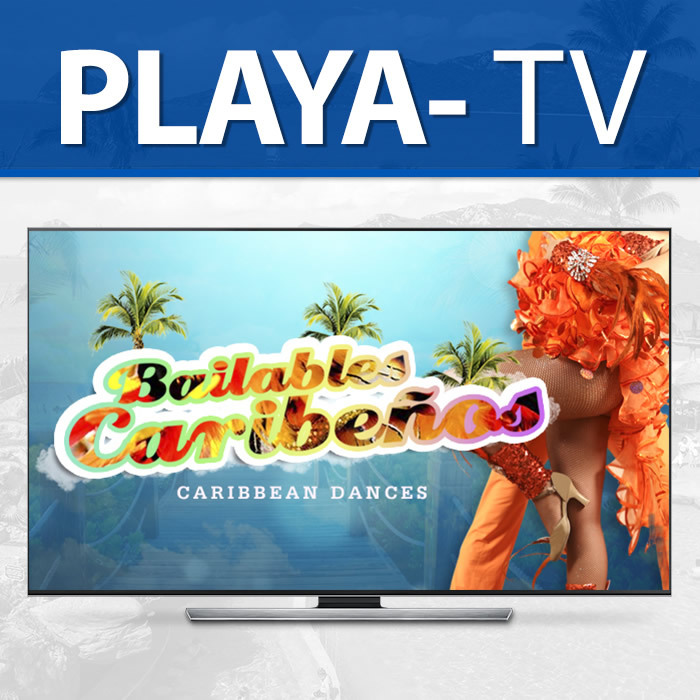 Join Club Playa and immediately receive benefits and special discounts! The following legal procedures, restrictions and costs mentioned are subject to change without prior notice. * European Plan (only room) children under 12 stay free in parent’s room. 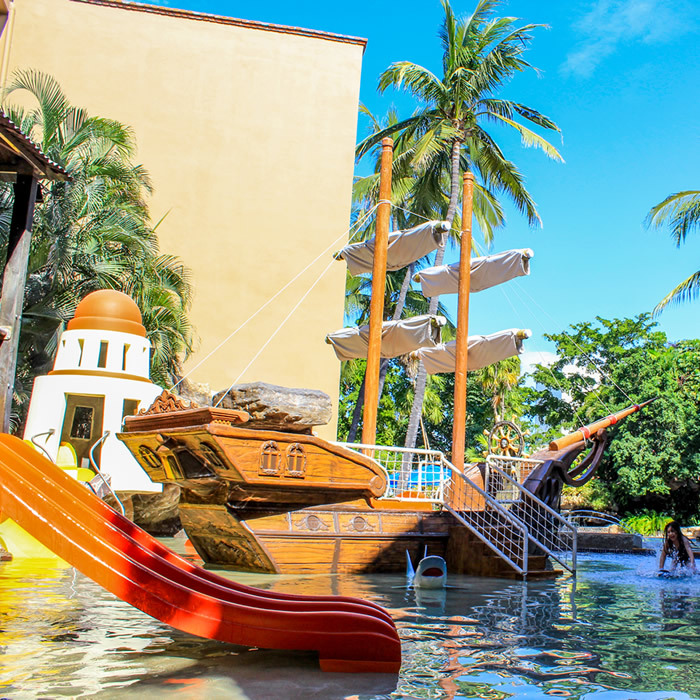 All-Inclusive Plan children under 6 stay and eat free in parent’s room (one children free per adult. Maximum of two children free per room). * Price based on double occupancy. Price will vary depending on season and room category. Price subject to change without prior notice. Online Payment: we will charge your credit card 1 night for each room reserved at time of booking, paying the rest upon arrival at the Reception area. If you want pay the total amount of your stay, please select that option. Any cancellation or change, let us know at least 3 days prior to scheduled arrival date in order to avoid a cancellation penalty charge. Any cancellation or change must be submitted at least 7 days prior to arrival date in order to avoid a cancellation penalty charge. On Holy & Easter Week, Summer and New Year, the payment with which you guarantee your reservation will NOT be refundable, only a date change will be allowed as long as you do it at least 7 days before your arrival date. * For your convenience the hotel reception is open 24 hours a day where all our receptionists speak English and Spanish and will be happy to be of service and help you with any questions you may have. When you paid with a credit card the refund may take maximum 1 week.